Why would anyone ever need a military-style assault weapon with high-capacity magazines? Their presence in the hands of spree shooters like James Holmes and Adam Lanza certainly seems to indicate that they are weapons intended to kill many people. They are universally preferred by militaries and police forces all over the world. Even their aesthetic is intimidating: all black, menacing juts and sharp angles. These weapons, like the AR-15, are not your grandfather’s hunting rifles. Dianne Feinstein, and many like her, believes them to be a scourge of the earth, and call for an outright ban. But aside from looking scary, what else defines these assault weapons? What makes them so unnecessary for everyday civilians? To understand the current discourse on assault weapons, we should first look at their origin in history. Following World War II, most militaries retired their bolt-action rifles, which require the shooter to operate a bolt in between each round fired, and semi-automatic rifles, which limit the shooter to firing only one round every time the trigger is pulled. Both technologies dating back to the 1830s and 80s respectively, and were (for standard infantry rifles) replaced by fully automatic rifles, which fire continuously so long as the trigger is pulled, a technology that originated in 1887. During the 1950s and 60s, militaries also realized the high-power rifle rounds used in World War II, which today are the same rounds used to hunt large game such as deer or moose, were unnecessarily powerful for modern combat. If the vast majority of engagements are 300 yards or less, it’s not really necessary to use a round that is accurate up to 800 yards when you can use a smaller round and carry more ammunition. Thus was born the intermediate cartridge, which sacrifices range and power for weight. Your father’s hunting rifle, round for round, is more powerful and capable of firing at a longer range than a rifle firing an intermediate cartridge. The combat of World War II also made evident to militaries the utility of a detachable magazine. A magazine, often incorrectly called a clip, is a box that attaches to the firearm and is connected to its action. Inside this box is a spring that pushes rounds of ammunition into the firearm, essentially feeding the firearm. The rate of fire of a magazine-fed weapon is therefore limited to how quickly its action fires new rounds and the capacity of a magazine. The singular advantage of detachable magazines over internal nondetachable magazines is that a shooter can carry spares on his person for quicker reloads. With a nondetachable magazine, the shooter would have to reload rounds manually into the firearm one-by-one, whereas with detachable magazines the shooter can carry spare preloaded magazines with him. The combination of detachable magazines, intermediate cartridges and fully automatic actions produced the assault rifle, the two most famous being the Soviet AK-47 and the American M16. Both are fed by thirty round magazines, capable of fully automatic fire (although later versions of the M16 were limited to three round burst functionality), and intermediate cartridges. For all intents and purposes, the term assault rifle delineates a very specific type of firearm. Assault weapons, however, are not assault rifles. The first attempt to regulate assault weapons, the 1994 Assault Weapons Ban, did not legally affect machine guns, assault rifles, or indeed any fully automatic weapons for that matter. These weapons, being fully automatic, have been regulated since 1934 when Congress enacted the National Firearms Act, which restricted, among other things, the possession of so-called “machine-guns,” defined as all firearms capable of fully automatic fire. This act required the registration of all such weapons with the ATF, and that registry was closed to any newly produced fully automatic firearms in 1986. Even today, a private citizen can purchase a pre-1986 automatic weapon after obtaining approval from the ATF, obtaining a signature from the chief law enforcement officer, who is either the county sheriff or chief of police, pass a background check, and pay a $200 tax. In addition, the rarity of pre-1986 “machine guns” has driven prices up considerably: a pre-1986 fully automatic AR-15 easily costs more than $10,000 while a factory fresh semi-automatic AR-15 today can cost only $1,000. While fully automatic weapons are legal, they are very expensive and difficult to obtain. So, the question remains, what are assault weapons and why do they scare Dianne Feinstein so much? The 1994 Assault Weapons Ban, which expired in 2004, defined an assault weapon as any semi-automatic rifle or pistol with the capability of accepting detachable magazine (it also outright banned magazines with more than 10 rounds) and had two or more prohibited features. What were these features? In the case of rifles, they were folding or telescoping stocks, pistol grips, bayonet mounts, flash suppressors, and grenade launchers. Why are these features bad? Well according the Brady Campaign to Prevent Gun Violence these are “combat features” and allow semi-automatic assault weapons to “kill as many people quickly, as would be needed in combat.” The Brady bunch is, however, completely off the mark and their preconceived notions of the dangerousness of these weapons defy any standard of reason. They are notions produced from a dangerous mixture of fear and ignorance. For example, they argue that folding or telescoping stocks are dangerous because they make a weapon more concealable. 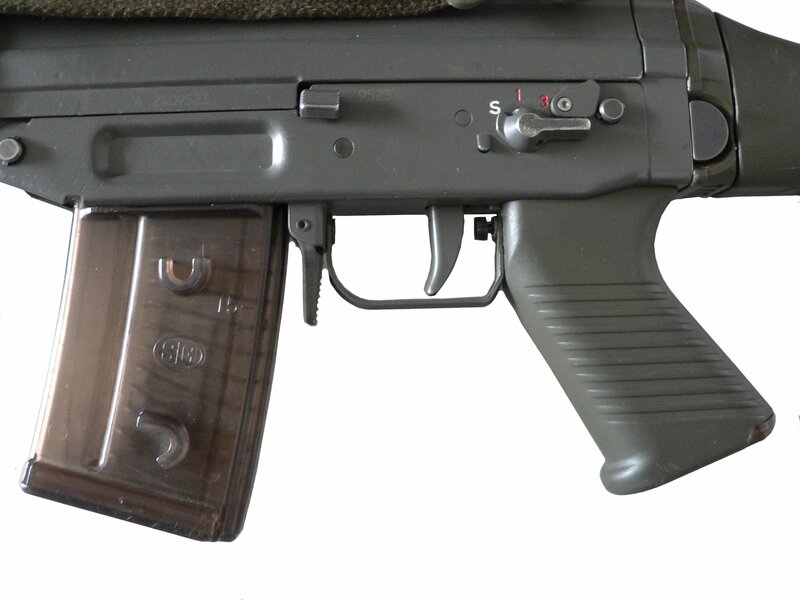 Certain variants of the AK-47 come with a folding stock capable of reducing the rifle’s overall length from 35 inches to 25 inches. Even with its stock folded, a two-foot long rifle will not have a low enough profile that it could be easily concealed on a person. The 1934 NFA even restricts firearms to be over 26 inches long overall or have a barrel length shorter than 16 inches. A telescoping stock is even less effective, since it only collapses 2-3 inches; it was designed to allow a weapon to be used comfortably by shooters of all heights by adjusting the distance between the shooter’s shoulder and the trigger. Folding or collapsible stocks, however, make a weapon more transportable in something like a range bag or gun case, containers which almost everyone who shoots uses to carry guns to and from the range. Supporters of the Assault Weapons Ban argue that pistol grips, which are vertical protrusions behind a trigger, make a weapon more dangerous because they “facilitate spray-firing from the hip” and “one-handed shooting.” Firing from the hip with a pistol grip (images D or E) compared to a conventional rifle grip (Images A, B, or C) will twist your wrist into an incredibly awkward angle; firing a large enough caliber weapon like that will break your wrist. Furthermore, neither firing from hip nor firing one-handed is very accurate. A rifle weighs around 5-7 lbs at its lightest, it is not easy to lift that with one hand, hold it long enough to align the sights, and rapid-fire it accurately (a misnomer since rapid-fire and accuracy are oxymoronic) without having recoil make you miss the broadside of a barn from inside it. Given the inaccuracy of these methods, criminals and spree shooters firing from the hip or one-handed are technically less likely to be as lethal as those who fire their weapons from the shoulder. There is a reason the US Army recommends two hands be used to fire a pistol at all times: more control means more accuracy. In addition, bringing the weapon, pistol or rifle, level with your eyes also makes it more accurate. No modern military or police force is going to train to fire their weapons like supporters of the Assault Weapons Ban think criminals do because these methods are entirely ineffective. 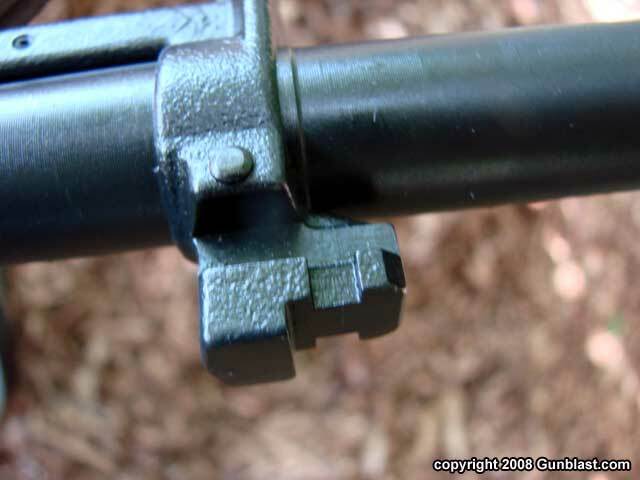 Bayonet mounts (seen here attached to the barrel of an AR-15) may serve no sporting purpose, but there hasn’t exactly been anyone killed by bayonets recently, has there? There seems to be some cognitive dissonance given that I can own a rifle and a knife, I can duct tape the knife to the rifle, but I cannot have a tiny piece of metal that allows me to attach a bayonet. Aren’t there more effective laws we could be drafting? Grenade launchers, as defined in the AWB, are muzzle devices designed to allow a rifle to use the explosive gases from a fired bullet to launch a grenade. This is a moot point: all grenades are explosives and already restricted. A grenade launcher as defined by the AWB is really just another aesthetic feature. Flash-hiders, while they do reduce the visible flash, do not make the shooter invisible or undetectable, but rather vent the flash away from their eyes, preserving their night vision. There are plenty of videos on YouTube with recreational shooters comparing different flash hiders; none of them completely eliminate the flash: putting a flash-hider on your gun won’t make you some undetectable ninja assassin. True, necessity does not demand any of these features, but neither do they necessarily make weapon more dangerous. They are aesthetic features, some of which can make a shooter a little bit more comfortable, but no more deadly. 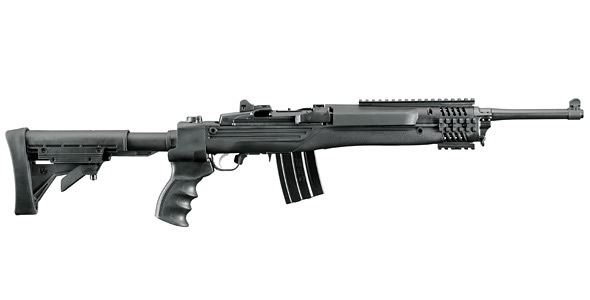 Take for example this Ruger Mini-14. Although it is a semi-automatic rifle, fed from detachable magazines, that fires the .223 Remington (the same intermediate caliber round the AR-15, the semi-automatic civilian version of the US military’s M16, uses), it looks fairly innocuous and lacks the required two (it has a flash hider) prohibited features of the 1994 AWB. However, this Ruger Mini-14, with its telescoping stock and pistol grip, is considered illegal under that law. Same round, same functionality, but different aesthetic features make it illegal. The top Saiga rifle in this image is illegal; the bottom Saiga rifle is legal. Again, same round, same functionality, but one has features Senator Feinstein and her cohorts find threatening. Contrary to what Senator Feinstein and the Brady Campaign argue, none of these external features makes a firearm more deadly, a firearm is deadly on its own. The 1994 Assault Weapons Ban limited semi-automatic rifles, pistols, and shotguns to only one such feature. Her newly proposed law will outright ban semi-automatics with even one such feature. To ban weapons based on how they look, because of false notions of what make a weapon dangerous, provides only the illusion of safety. Statistically, the 1994 Assault Weapons Ban was entirely ineffective, and Senator Feinstein’s new bill would be equally futile. Annually, between 2007 and 2011, rifles (assault weapons or not) made up roughly 3.7-5.0% of homicides by firearm and roughly 2.5-3.0% of homicides overall. Assault Weapons, as a definition, span multiple firearm types including rifles, shotguns, and pistols. Depending on the source, they account for anywhere between 1 and 8 percent of gun crime. Weapons capable of accepting “large-capacity magazines” are used in about 20-25 percent of gun crime, however it needs to be understood that nearly every modern full-size (for reference, compare the full size Glock 17, the slightly smaller Glock 19, and the compact Glock 26) pistol, that is not a revolver, is capable of accepting large-capacity magazines. Of the top 10 guns most used in crime, 9 are pistols, 7 are semi-automatic pistols, and 3 are semi-automatic pistols capable of accepting “high-capacity” magazines. Mostly, criminals tend to prefer cheap and small pistols, a minority of which can accept “high capacity” magazines. Assault weapons, let alone rifles like the AR-15, are not common in the arsenal of the common thief or murderer. A Department of Justice report, commissioned to study the effects of the 1994-2004 AWB, came to two conclusions: criminals do not frequently use assault weapons and there is a lack of evidence to show that large-capacity magazines affect the outcomes of attacks. As a result, they concluded, the effect of the AWB is “likely to be small.” As it turns out, banning a certain category of weapons based on their aesthetic features, which are rarely used in crimes, in the name of stopping gun violence, does not stop gun violence. Arguably, the most important (and most targeted) part of an assault weapon is not aesthetic; it is detachable high-capacity magazines. As I mentioned, although the vast majority of criminals do not use these, spree shooters do in fact have a nasty habit of using them. Adam Lanza used an AR-15 with 30 round detachable magazines at Sandy Hook. James Holmes used an AR-15 with a 100 round drum magazine at Aurora. Jared Lee Loughner used a Glock 17 with a 33 round magazine in Tucson. The terrorist Nidal Malik Hassan used an FN Five-seveN pistol with 20 and 30 round magazines at Fort Hood. Seung-Hui Cho used a Glock 19 pistol with 15 round magazines at Virginia Tech. These shooters were all able to achieve high death counts, and according to gun prohibitionists like Dianne Feinstein and the Brady Bunch, this was entirely due to their possession of high-capacity magazines. Had the AWB been in effect, these shooters would have had to rely on 10 round magazines. The problem with this notion is that it is incredibly easy, with a little practice and a good vest, to reload a pistol or a rifle in two to three seconds. The most used weapon at Columbine was a Hipoint Carbine, equipped with a ten round magazine, and it was fired 96 times. It bears mentioning that Columbine occurred during the middle of the assault weapons ban. The tactics of spree shooters are very similar to those of terrorists: they choose to attack “soft-targets” like schools, theaters, and continental military bases (where the soldiers do not carry their service rifles and must rely on local law enforcement) precisely because these locations are undefended and allow the shooter to do the most amount of damage possible. In our city of New York, the average police response time is 4.6 minutes. Assume the rate of fire of a semi-automatic rifle as 60 rounds a minute, 3 seconds per reload, and the clock begins as soon as the first round is fired. A shooter with 30 round magazines will have emptied 8 and be on his 9th by the time police arrived, firing a total 252 rounds. A shooter with 10 round magazines will have emptied 21 by the time police arrived, firing 213 rounds. To preempt the obvious question, yes you can carry 20 magazines, especially if they are small 10 rounders rather than the larger 30 rounders. Most of these spree shooters carried extra magazines and reloaded frequently; moreover, most carried secondary and tertiary weapons with them. These killers were able to maximize their potential not because of high-capacity magazines but because they had many magazines and had secondary weapons. A renewed ban on high-capacity magazines would not impede spree shooters since they can just as easily reload or switch to another weapon. The people these killers target are unarmed; they do not fight or shoot back, they run for their lives. Reloading inconveniences spree shooters, it does not impede them. A leaked Department of Justice memo also points out that because magazines are a durable good, it would take decades for a ban to remove them. Exactly what sorts of enforcement costs are we willing to put up with to try this out? Shall we double our prison population by filling them with gun-owners who want to own 30 round magazines? They can commiserate with all of the individuals arrested for marijuana possession. Meanwhile taxes increase to fund more police to find all of the magazines, and rights against unreasonable search and seizure are infringed upon. It will not stop the majority of crime, but if we try really hard we might just cut the annual average 35 fatalities from spree shootings down to a more reasonable 25, maybe 20. The fallacy that “if it saves one life it is worth it” is simply not true when there are better, less invasive, and more effective measures. You may even argue that other, more efficacious legislation is likely to save more lives than an Assault Weapons Ban. The only case where the amount of rounds in a magazine matters is in a gunfight, hence why police and military like their 30 round magazines. Civilians face the same criminals that police face, perhaps even more so since no criminal interested in living will willingly shoot at, rob, or in any way accost the police. In self-defense, the FBI concluded that the only way to immediately incapacitate another human being is a direct hit to the brain. Individuals motivated by adrenaline, fear, or drugs and alcohol may not immediately stop even if mortally wounded. Shots to non-critical areas will not always stop a target; real life is not a movie and the bad guys don’t go down in one shot. In one case, a man was shot 21 times and survived. A man in North Carolina was shot 20 times and survived, and another survived 19 hits. These cases aren’t common, but they illustrate the point that shot placement is key. Moreover, in any self-defense or combat situation, accuracy (as compared to that on the range) drops dramatically. In 2011, the NYPD was involved in 36 incidents, in which the NYPD fired on a suspect; among these incidents the total rounds fired were 311, and the percentage of times they hit and stopped their targets was 78%. That means that of all of the shooting incidents the NYPD has experienced in 2011, of all the shots fired, in only 78% were they able to actually hit and stop their target; it does not factor in their hit percentage, merely their overall incidental success rate. A 2008 report indicated that out of all their rounds fired that year, they hit their targets 34% of the time. Combat produces enormous stresses, and training will only go so far. In any combat event, your accuracy goes out the window. Hence, in any gun battle, what stacks the odds in your favor is not the stopping power of the bullet; it is the amount of bullets you can fire, preferably on target. Most gunfights are over in a few seconds; reloading is life or death. Spree shooters are in a one-way gunfight: they shoot and everyone else ducks for cover. They have the luxury of time whereas the homeowner defending himself or herself does not. Our police won’t be imperiled by a magazine ban, since they have exceptions for Law Enforcement Officers. Our elected officials won’t be imperiled by a magazine ban, since they have their own security details. Our criminals won’t be imperiled by a magazine ban, since they hardly use them anyway, and if they did would just procure them illegally (they are criminals after all). The only people who are imperiled by a magazine ban are law-abiding citizens who need them for self-defense. These high-capacity magazines can mean the difference between life and death when facing multiple attackers. While the majority of home invasions or assaults may not be committed by multiple perpetrators, they are still common enough to be a credible threat. So long as they remain a credible threat, so long as value of that which you are trying to protect—yourself or your family—remains high, it is perfectly rational to prepare for such a contingency. No martial art dismisses the possibility of multiple attackers and fails to train for it. So too it would be foolish to label gun-owners who want thirty round magazines as irrational. When facing multiple armed attackers, a ten round magazine empties very quickly. Vice President Biden thinks that homeowners only need a double barrel shotgun, a weapon with a capacity of only two rounds: that should certainly come in handy against three or more attackers. High-capacity magazines provide people who lack the manual dexterity to reload, such as the disabled and elderly, an even greater chance to live through an attack. Common wisdom in self-defense is never fight fair, and a thirty round magazine provides that unfair advantage that can save an innocent person’s life just as much as it can save a police officer’s or soldier’s life. Since Vice President Biden sees fit to tell homeowners what they need to defend themselves, I think I will as well. The best weapon for home defense is not a double barrel shotgun: it is an AR-15, like this. With its lightweight construction, collapsible stock, pistol grip, and other features, it is an incredibly ergonomic weapon that can be used and maneuvered comfortably by a shooter of any size or strength. With the right intermediate caliber rounds, unlike pistol caliber rounds, shotgun shells, or high-power rifle rounds, fired bullets will tumble after penetrating drywall so you are less likely to injure a neighbor if you miss. Its factory standard thirty round magazine also allows you to miss without imperiling your life. Why would anyone need an assault weapon like the AR-15? Because it is arguably one of the finest rifles ever designed, perfect for a variety of legitimate uses: hunting small to medium sized game, target shooting, and most importantly self-defense. It is for this reason that they are one of the most popular rifles in America, numbering anywhere from 2 to 3.5 million. DC v. Heller upheld that the second amendment protects an individual’s right to own a firearm “in common use at the time” for self-defense, not just hunting or sport shooting. Anyone who argues that you would never need an assault weapon for hunting or sporting is missing the point and is ignorant of just how common and popular these rifles are. The Assault Weapons Ban proposed by Senator Feinstein, like her previous ban, will fail to stop either common criminals or spree shooters. It is a bill borne out of serious ignorance and misconceptions about firearms and the nature of crime. An assault weapon, with its intimidating features, is not more dangerous than a semi-automatic weapon without such features. Criminals do not prefer assault weapons. Removing them from the hands of spree shooters (if it could even be done) will not reduce their body count. The sum of this bill’s achievements will be an unnecessary and ultimately fruitless infringement on the Second Amendment rights of Americans. It is an easy way out that, to the vast majority of the public, uninformed or unfamiliar with the nuances of the debate, sounds appealing. Problems like crime or mass shootings are rarely ever solved with a single piece of legislation or a quick fix. Decriminalizing marijuana, reforming prison sentences, addressing urban poverty, bringing growth to the economy, and a myriad of other polices that address serious social ills and our cultural biases with regard to mental health will all do more to stop gun violence, but they are neither easy to implement nor inexpensive. To solve a problem, we as voters ought to commit ourselves to seeing the solution through, rather than opting for legislative chicanery that merely sounds good but accomplishes nothing.